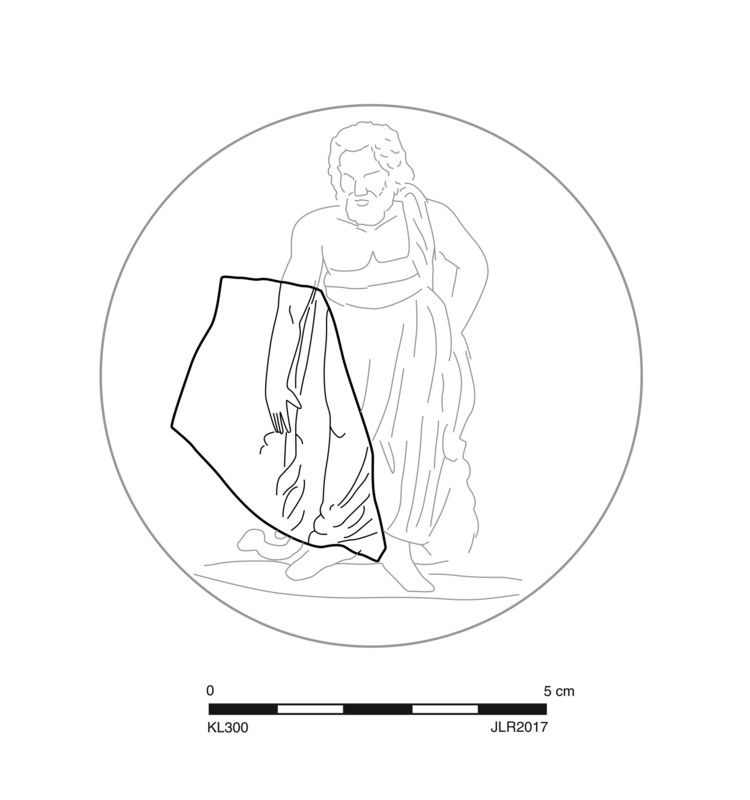 Slightly concave discus has figural relief: right leg draped with chiton with right arm slightly bent at side holding bakteria with snake coiled around it. Type is Aesculapius Chiaramonti. Early/Middle Roman Corinthian lamp fabric: somewhat soft, pale. 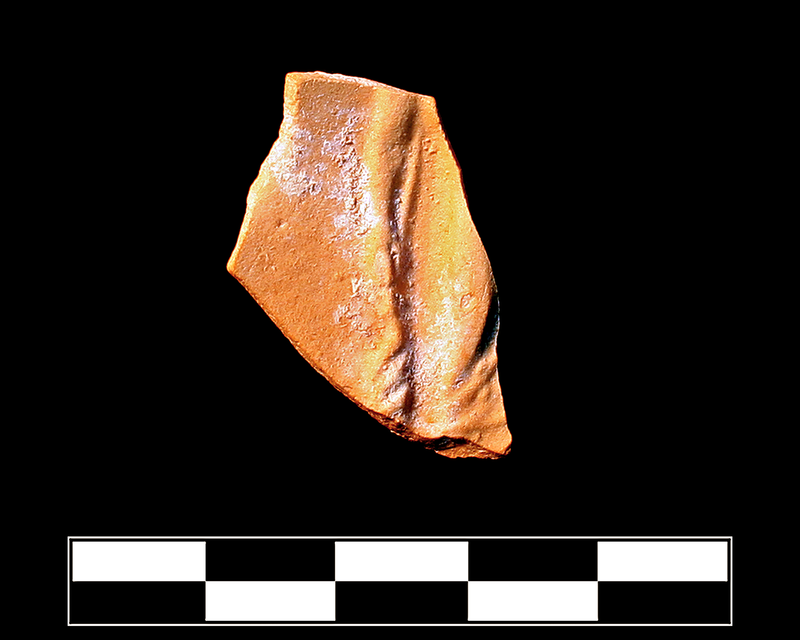 One fragment preserves small part of discus. Scattered patches of encrustation.